ISU plant pathologist and nematologist Greg Tylka explains how to sample soil for SCN in the fall. Click on image to view the video. The equipment you need for sampling soil for SCN is the same equipment you use for taking a soil sample for soil fertility tests. 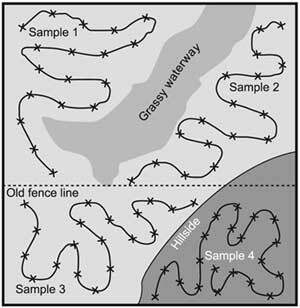 Example of a zig-zag sampling pattern -- samples can be collected from zones according to the agronomic features of the field. Take time to mix the samples well. 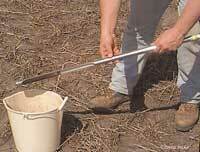 Collect soil samples and have them tested for the presence of SCN. Fall is often the best time to sample as you plan for the next crop year. Sample as described below in the harvested field that is to be planted with soybeans next season. Soil samples can be collected throughout the fall, until a significant snowfall or a hard freeze occurs. The equipment you need for sampling soil for SCN is the same equipment you use for taking a soil sample for soil nutrient analysis: a soil probe, a bucket, and a plastic or plastic-lined soil bag. 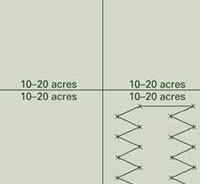 Zig-zag sampling pattern for 10 acres of a 40 acre field. Sample the top 6 to 8 inches of soil. Take cores from within the root zone or from within the interrow area. You'll want to take 10 to 20 cores in a 20 acre area. 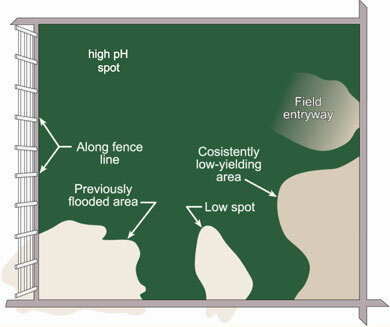 If the field is larger, break the field into 20 acre units and take 10 to 20 cores per unit. 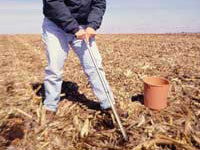 Use a zig-zag or M-pattern to collect the soil cores. OR, if you are already collecting soil samples on a 2.4 or 2.5 acre grid pattern, collect two extra cores from every 8 or 9 grid cells, and place those extra cores in a separate bag for SCN testing. 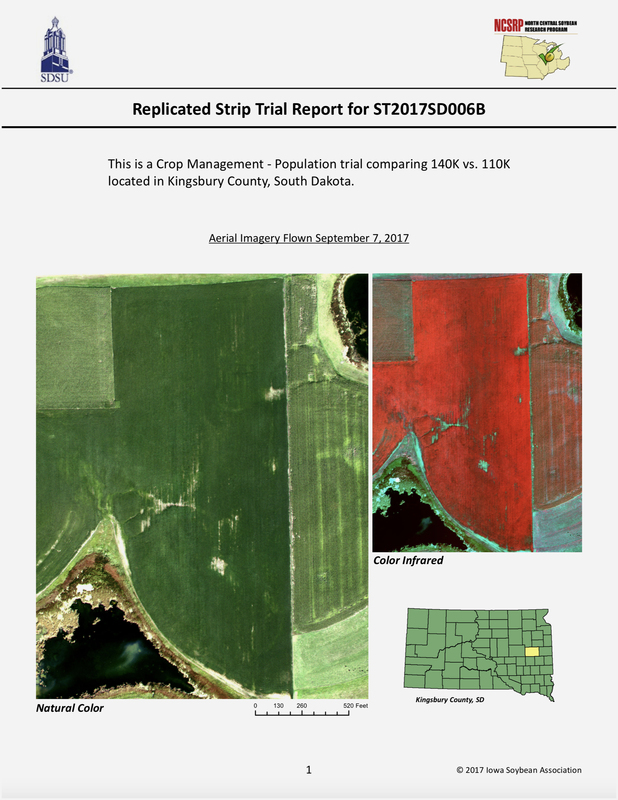 No matter what sampling pattern you use, the more cores you take, the better the estimate of SCN population density across the field. SCN is tiny, it is not uniformly distributed, and it doesn't move far on it's own. Also, it lays it's eggs in clusters. 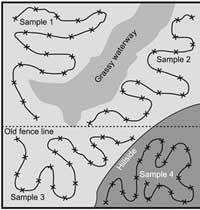 Therefore, SCN tends to be aggregated or clustered in fields and soil sample results tend to be highly variable. High risk areas for SCN. 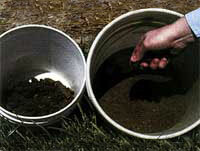 Bulk the cores in a container and mix thoroughly. Take the time to mix the sample. The better the sample is mixed the better it represents the whole field. Put 1 to 2 pints of the thoroughly-mixed soil in a plastic bag and label it with an indelible marker. Don't put a paper label inside the bag. The moist soil will make it unreadable by the time the sample reaches the lab. The sample doesn't really require any special handling. You'll want to keep the sample at room or field temperature. Keep the sample out of the sun or hot truck cab until you are ready to pack and ship it. Pack the samples in a box for shipment to a qualified soil lab. Cushion the samples with packing material so the bags don't break open during shipping. University or Extension plant diagnostic clinics or University nematologists usually offer SCN testing. Check here for contact inforrmation for the diagnostic clinic in your state. Some private labs also offer SCN testing, but not all soil fertility labs are trained to test for SCN - make sure your lab can test for SCN before shipping the sample. Include your name, address and phone number with your sample. 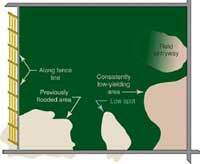 Including cropping history of the field, symptoms of problems observed and cropping plans for the next season are helpful in making recommendations for management if SCN is confirmed. Often there is an Information Request Form that can be printed out from the clinic web site. 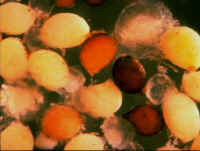 Many labs report SCN eggs or eggs and juveniles per volume of soil, while other labs report the number of cysts. Cyst and egg counts are not directly comparable but keep in mind that a low cyst count does not equal a low egg count since each cyst can contain hundreds of eggs. If you find out you have SCN, don't panic. 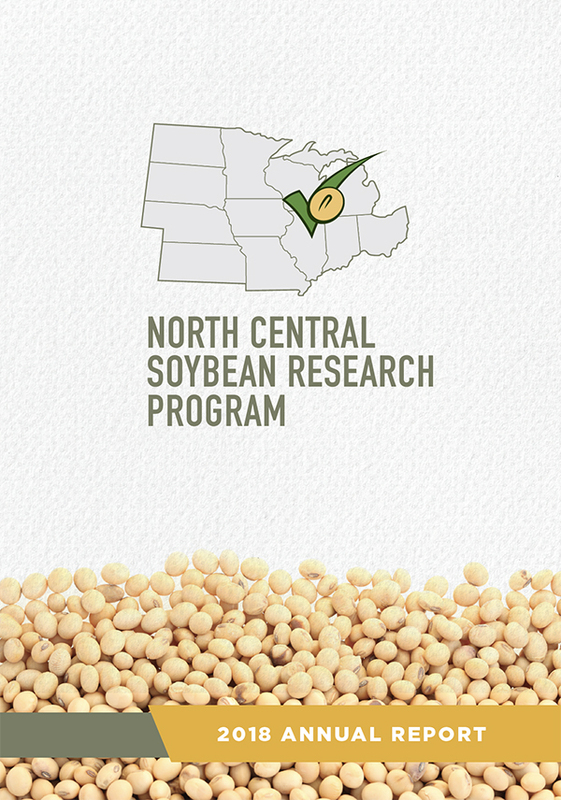 Although SCN is a serious soybean pest, it can be managed profitably. Adapted from SCN Symptoms and Soil Sampling, courtesy of Greg Tylka, Iowa State University.